Have you bought a power tool or appliance from US and brought it to India ? Like me, were you tempted to plug it in at the first available opportunity ? Well, never do that. Never. In the best interest of your tool / electronics, you need to ensure they are readily suited for use under Indian Power conditions. If not, there are few things that you are expected to know and adhere to. First and foremost, understand the power requirements of the tool from the manual. And here are the questions you need to ask and understand before you can plug in that tool / appliance of yours. 1. The specification in the tool manual says 120v. Does it make my tool readily usable in India ? No. The operating voltage in India is 240v. And since the tool requirement is only 120v, there is every bit chance that it might not work or go kaput if you directly plug it in. 2. How do I then use the tool here in India ? Stepdown voltage transformers are available in your local electronics store, specifically for requirements like this. They help in converting the 240V power into 120v. 3. Is voltage the only parameter I need to look at ? No. You need to look at the wattage specification as well. Your transformer wattage should necessarily be equal to or more than the value mentioned in the manual. 4. There is no watt mentioned in the manual. What do I do ? Look for amps specification and as high school physics would have taught you, Watt = volt X amps. So in the above case, the wattage is 120 x 1.8 = 216 W. That means the transformer should support wattage greater than 216 W.
5. What is the cost of a step down transformer ? The transformers for lower watt requirements are available as plug in adaptors and cost about Rs.300 to Rs.350. The one you see in the picture below (250W) costed me Rs.950 and looks like a mini stabilizer. So, anywhere between Rs.300 to Rs.1200 depending on your requirement. This is basic physics that I didn't know and had trouble doing my research when I received a power tool as a gift. So hoping this post is of some help to someone with a new tool and the desire to DIY. Have you used a tool or appliance in India, bought and brought from anywhere outside? Is there anything else that one needs to take care of besides this ? Leave me your comment. Also, do let me know if you found this post useful. Your blog content is of great quality, simple and relatable. 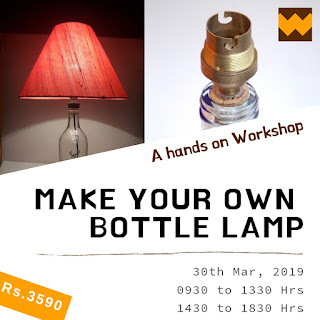 I feel particular kinship because I read a lot of blogs on DIY and home decor but haven't come across any by my own people (I am from chennai too!). Great work Somu & Preethi, keep it coming! thanks a lot for the help man! really appreciate it, but i have a question i have a Logitech Z623 computer speaker system, bought from the US it says 120v and 60Hz do you think it'll work? Hi Kanishka, Yeah it will work... Just make sure you factor the Wattage (Volts x Amps) when you buy your 240 v to 120 v converter... I don't think you should an issue otherwise. Regarding your comment. Can you please let me know what is the condition of your Logitech Z623 ? Did you face any speaker issues after connecting it by a stepdown transformer (230 V --> 120 V). I am planning to buy Klipsch Promedia 2.1 from US. It is rated with 120 V, 60Hz. ...this was a gr8 help...keep it up!! I have another question though, I find a lot of 110 V converter, and the requirement for my PS is 120V, so does it work? Hi there! very grateful for this article, however what about the frequency ? I mean I need (as your device also says) 60 hz, while I have only 50 hz available ? will that also been converted by the transformer or it doesn't mind ? Hi, It is 50Hz here too and I checked with the guy at the store... And he mentioned that it would not matter. I have been using the transformer for sometime now without issues. That said, I would still recommend that you check with your vendor before you can use it. But am sure the frequency will not matter. Hi Somu, this is really good info. Thanks a lot buddy. I am looking for a good quality step down which also works as a stabilizer and also works as an MCB to avoid any short circuit. Not been able to find anything online and I don't want to buy from local dealer to avoid any issues. Any recommendations of a good quality step down of 1000W capacity? mini oven. they need 800 to 1200 wattage. Can I find such high power transformer here or I will have to order a custom. Higher wattage "should" be available and would be on the expensive side. However, am not exactly sure. Will have to actually check at the electronics store. looking to get an Kitchen Appliances from USA it should be 325 watts. should i get something exactly 325 watts or even 500watts step down transformer is ok? Hi Bilal, 325 or more (even 500) is what you should get... Ideally more than 325 would make it a safer bet for you. I am not sure about B'lore, but in Chennai Mercy electronics would be the place to go to... Else any good electronics store in the city. Lovely and very useful write-up Somu! Whenever I get electrical stuff from US the first thing I look up are the tech specs, i get a sigh of relief if the voltage range is 110-240V. Hope these additional points on frequency will help people to decide better. Any advise for Samsung 55” USA tv that only works on 60hz.. I did not find any vol transformer with o/p in 60hz.? My doubt is whether a converter(1000w) with electronic circuit work for a 32 inch LCD TV(200W). Your converter should be having coils, if I am not wrong. The one I bought has electronic Circuit. I enquired in another shop, where I was told not to use it and only coiled ones suit my TV. Do you have any idea of this difference? Hi Sonjeith, considering it is a 32 inch LCD, I would have to tell you that I may not be qualified to provide an accurate answer. For small tools, this is fine, but for bigger electronics, I think you should try to speak to the store guys. They will be better equipped to address your queries. Sorry about that. We have bought power juicer form US. Which requires 120v , 2.5A supply. Please suggest me the voltage converter. May i know whether the converter mentioned in the below link suits my appliance or not? Awaiting your soon reply. Thanking you. I bought massager from USA, and my mom tried stwiching it on by plugging it directly here in India. It obviously did not work. Later i bought step down converter which was of 110v still it did not work. My tool is having voltage specification as 120 volt. I am not sure whether the tool will work or not as my mother used it first time w/o converter. 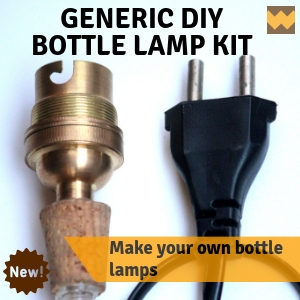 Do you know if that will work if i try with 120v converter? Hi, if you look at the transformer picture above, it states that it is a 110/120V transformer, so ideally the massager should work. That said, it is quite possible that it may have ended up having an issue when it was plugged in directly earlier. You may want to check that out. So can you recommend me what would be best suited for my need. Hi Abee, The specification (smaller version) clearly states that you cannot use equipments with more than 1600 Wattage which means your Blender surely can be used with the smaller version. Just to be on the safer side, see if you can take the specification to the electronics store and have them validate the same. Somu, two questions for you. Hi Jey, Most converters would be 110 / 120 V converters. And 20watts should not be an issue as the pump specification states that it can only go up to 4watts. Honestly, I am not able to recommend one as I have not extensively used transformers. That said, since wattage requirement is low, any plug in adapter will work like a charm. i have bissell 38B1-L vacuum cleaner. it needs o/p of 120V, 60 hz, 2 A. Please suggest me converter for same to use in india. It would be nice if you share some link or suggest any company name & model number for same. The voltage transformers are used in case of voltage fluctuations. You can confer the rigth flow of electricity to the electrical appliances inside your home and save the same from damages. Hi, I have purchased a cordless telephone system with base phone and a cordless unit both of which are provided with 2 power adapters/charger. The input voltage is 110v and output is 6.2 volts. Can we get converters in Delhi for that system and could you give me address of the store if you have. Hi, Yes you will be able to get converters. Unfortunately am from Chennai and do not know any stores in Delhi. You can check out with your local electronics store. They should certainly be able to help. hi Somu i am baseball player & i have baseball ball throwing machine. its details are as given below. 1) Operates on standard 110v AC. 1) should i take 1500 WATS or 2000 WATS step down transformer? 2)Then which company step down transformer you will suggest? any standard company for the same? The voltage stabilizers happen to be the best options for protecting you electrical devices from damage. They maintain a steady voltage output during voltage fluctuations. I am going to buy a coffee machine from the US and use it here in India. Need a good step down converter for this purpose. But in some articles I read that this is not safe and might damage the product in long term. Can you confirm? did you face any issues using the step down converter? Any specific brands you suggest? Hi Kunal, I have a oscillating multi tool from the US for which I use the voltage converter. So far have had no issues. I bought my transformer at the local electronics store and the brand was as recommended by the store guy. Since I do not have reasons to work with various brands, I do not have an idea on the other brands in use. I am contemplating of purchasing certain carpentary tools in US and bring them to India. Your suggestion as to step down stabilizer is very helpful. It is to the point without beating round the bush. Thanks for your honest feedback. Happy that this post is reaching the intended audience. Though a little late, have responded to your mail. Do let me know should you need any further inputs. I have a TV (300 Watt) + Home Theater systems (1500 Watt) and Xbox (500Watt), now my question is if I buy one step down transformer with 1500/2000 watt's and connect it to spike and use it for all the three different electronics described above? I am trying to minimize the number of transformers to buy. Will this work? Please advise. 1. I have a 120V LCD HD TV which I am planning to bring to India. Do I need just a 110/120V step down voltage converter to use the TV. Also, I have a Wii gaming system which I plan to use. In this case, can I use the same Step down voltage converter and a spike or extension chord and connect both the devices to the same step down converter. 2. Do I need a voltage stabilizer in addition to the step down converter? Hope these additional points on frequency will help people to decide better." Watts can be more than 600W. But not less. What is the ampere requirement ? You can do a volt * ampere to calculate the watt requirement if the 600W max is a bit confusing. Thank you Somu. Unfortunately the manufacturer seems to more interested in recipes and etc, because i went through the papers and the juicers body for amp requirement I was unable to find it. 600W max is all i could gather. I would ask for a 500-600W transformer would it work? Thanks for the help, really appreciate it. Hi. I have ordered a Jaybird Bluebuds X Bluetooth earphones from amazon.com. I contacted the customer care and they told me that when charging the BlueBuds X, the adapter must output no greater than 5V 1A. I want to know if I have to use some sort of voltage converter to charge it through the wall socket in India. These are manufactured in the USA. I am importing it from the USA. Please help me in this regard. This is the standard voltage and cuurent rating for USB chargers. Most smart phone chargers will output these values. The tablet chargers are usually 5V 2 Amps. Though a tablet can be charged with a regular USB charger it will take more time. So no need to import a charger just use the one available locally. Though there are two popular types of connectors(there are many more used by some specific brands though that is rare.) among these the ones that charge the smart phones have most of the market share. Automatic voltage Stabilizers are in high demand to save your expensive electrical devices from damage. The voltage Stabilizers are indispensable to ensure the longevity of the electronic devices at your home. My parents bought an Aroma Rice/Food Steamer/Slow Cooker from US . it states :Use only with a 120v AC power outlet.Let me know how can we make use of it in India power stds.I think it would require step down converter,where do i find it in bangalore. I has a Universal travelling converter however it seems to hv gone faulty as we tried to plug it for making use of the new Rice cooker. pls suggest,also what rating of wattage should be opt for such equipements.is it 50w or 1600 watt. Converters are not transformers. They are just plug adaptors. Look at the rating on your cooker you will get the answer. Though try to take a transformer about 25% higher than your device requires. Maxine has dealers in Bangalore google them or visit their website they are very helpful. Rating will be in the range of 1600 Watts. 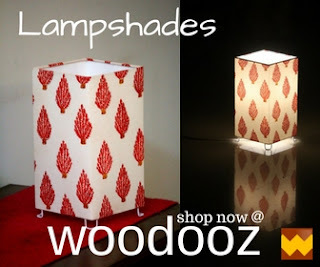 Hi Somu, Nice to know You are a woodworker like me. This is the reason most of the woodworking tools from the US are not available in Indian markets. But the variety of tools available in the US market is unbeatable. I can still put up with the Imperial measurements. I am just upgrading my router table and ordered a Woodpecket router table insert. Will be mounting a Dewalt 625 router underneath. May I request you to assist what kind of a step down converter would help me here ? Can anyone please answer the below question asked by Raghav? I have exactly the same configuration and would need help. Raghav: "I have a TV (300 Watt) + Home Theater systems (1500 Watt) and Xbox (500Watt), now my question is if I buy one step down transformer with 1500/2000 watt's and connect it to spike and use it for all the three different electronics described above? I am trying to minimize the number of transformers to buy. Will this work? Please advise." I had to reach out to my electrician at work to get an answer to this. So, the requirement you have can be addressed by a single transformer. The input to the transformer comes from your power socket and the output connects to a spike. The wattage of the transformer should be equal to or greater than the maximum wattage requirement of the equipment. So in this case, 1500watt transformer would suffice. Only catch here though is that you cannot use any of the other equipments when the Home Theater system is on. However the XBox and TV can run parallely. If you need all three to run parallely, ensure the transformer wattage is equal to the cumulative value of the wattages of all three equipments. Thanks for the reply, helped me a lot..!! Also, I was going through some stuff parallely and found that it is not very safe to use a power strip with surge protector when using a transformer. Even if we use one, we have to use it on the 110V side of the 220-110v transformer only (as you have mentioned), else can be lethal. If at all one wants to use it, we need to make sure that the power strip contains only 1 varistor. If it contains more than 1 varistor, it can be dangerous. Your reply has strengthened my learning and I will be going for a 3000W stepdown transformer to be used with a power strip (without a surge protector). Hi Disha, yes you are correct. If you are going to use the ice cream maker in India, you will need a transformer that is 50watts or more. For 50Watts, you will get plug in adapters in the market which will cost anywhere between 350 to 400 INR. I have posted a link in the post, you may check and even do an online purchase. But any electronics store would be stocking it. Hope that helps. i nees voltage converter? or i can use it directly? Wow finally I found some information on this. I have got a 1500 watts blender that runs on 60hz. I was searching for step down convertors but am confused. I am just totally confused. Do you think something that works for a power drill should work for a blender too? Please advise the best solutions. The transformer based ones like the one you have are costing not less than 4500 rupees. While the plugin type(SMPS based) is pretty cheap its starting from 500 bucks. Great blog. never seen anything like this in India. Am going to share and subscribe. Hi, i recently bought XBOX ONE from usa to india but plugged the PSU directly, the power tripped at my home, now u dont know whether it will work or has damaged. But have bought voltage step down convertor of 250 watt.
. Should i connect the PSU again using VOLTAGE convertor or how to check whether the PSU is working? I am planning to buy a Yamaha Sound projector which I want to use back home in India. Please guide me what capacity step down transformer I required? I search and found in India also I can get 100W and above Step down transformer which cost around 1500India Rupees. You would get your transformer very much here in India. You would need a minimum of 55W. The 100W transformer will more than serve its purpose for the sound projector. I bought my 250W transformer for Rs.900. Am sure the local electronics store should be able to provide a more competitive price than Rs.1150 for the 100W transformer. I bought Sony Receiver where it says AC 120V/60Hz and Power Consumption is 250W. I be live that i can with similar one that you bought. Hi Somu, First of all I would like to say my thanks to you for this great article and your kind help. I brought a juicer from US which says 120v~60hz 1000w. Will "Electronic Type 1600 Watts" displayed in the below link works with this juicer? What is the difference between SMPS based converter and transformers based converters? Somu, This is helpful information. I am planning to bring few of electronic items from US like TV, XBOX, Home Theater. I am also planning to buy 3000 watt step down transformer. My question is can I connect US power strip to transformer? Very useful info in this blog.I had purchased a laptop speaker set from US. I plugged it in as soon as I got back to India and it went kaput. Only then did I think about the converter. My bad. Wish I had read this blog earlier. did you get it fixed then? Will it run again if i buy step down voltage converter??? Also SMPS based would be sufficient or i need to buy bulky transformer based?? Thanks a lot Somu for your inputs this is really appreciated . Hello somu. I have a query.i have a voltge converter with a 1000 wattage, 50- 60 hz input and output capacity. I want to connect two electronic devices that together wont need a 1000 wattage requirement but would have a 50 to 60 hz requirement. Can i connect 2 of such to my voltage converter? I have another question. Ive read that u should never a use a spike buster with a voltage converter and i generally use the belkin one. The voltage converter that i have has one plug point and to connect 2 devices to it i need a 2 plug point adapter that is not a spike buster. Which one do you suggest i get? Sir I purchsed light bulbs from USA with holder and I plugged it into extension board(240v) in India. It worked for 10 minutes and then it stopped working. My holder, switch and bulbs are not burned or blacked out but it doesn't work at all now. Have I damaged my product. Please help. Yes Addi. you have damage the products in the sense that USA voltage is 120v so any volts greater than it will cause problems. Sorry!! Dear I have Xbox 360 with kenet from US with 110v and 3.5A, wanted to use Xbox in India, please advise me howmany watt voltage convertor I need. Would like to have your expert guidence on purchsed projector for work form US. be shut off at the switch. It would be niceif you could suggest me transformer i can use for the purchased projecter it would a very helpful. Thanks for the wonderful article. I need your suggestion. I have recently bought a ps4 from Japan and intend to use it in India. The box states that it needs 100 V and 250 W. I have bought a 110 V/50 Watt. Step down transformer. Will it work or I would need to buy a new one with revised config. Also, if you could help me understand that the power output of the transformer should be more or less than the PS4 power requirement. Great ! Will help in many ways. I hope this article is useful for the developers who thrive at making their asp.net application an absolutely impossible place for the hackers to deal with. Nice..keep up the good work , hope your now in my reading list.Thanks a lot for share. Hi. Your post was helpful. I did get the converter but my appliance (a hair curling iron) still doesn't heat up. It says 120 on the iron and I did bring the converter after consulting with the electrician. Has this conked off or is the product faulty? i Just brought PS4 from US and i want to use it in india, as on the power code it written 7A 125V, so can i use the power code directly to my wall electric plug.????? If no the please recommend some adapter or converter. The best interest of your tool or electronics, you need to ensure they are readily suited for use under Indian Power conditions. If not, there are few things that you are expected to know and adhere to and it is new and useful to me. My U.S. based gaming adaptor reads: Input = 100V - 127V, 4.91A and Output = 12V, 17.9A. 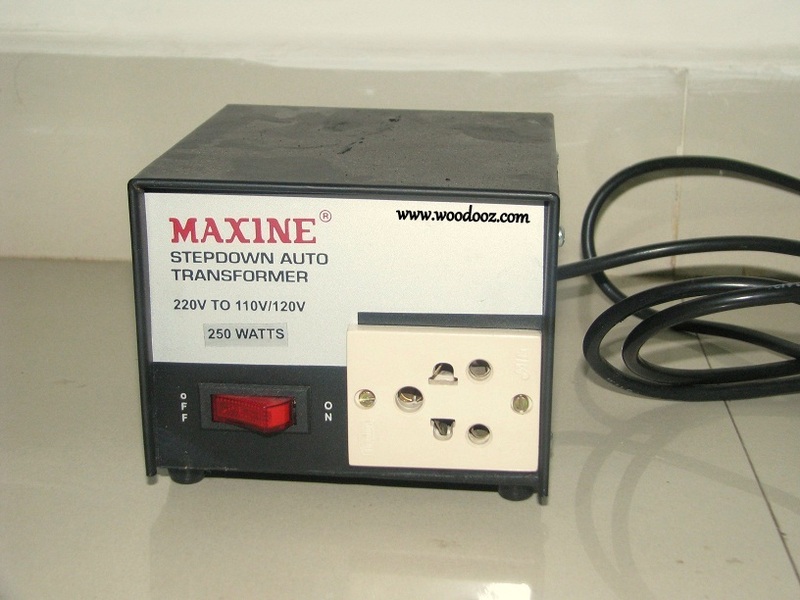 As the Input and Output wattage are different, I am wondering whether I should buy step-down transformer based on Input wattage (625W) or Output wattage (215W) for use in India. Experts, please suggest. Thanks in advance ! I have a blender and it has the message as "the cord should be plugged into a120V AC electrical outlet only"
I have a griddle and it has the message as "the cord should be plugged into a 120V AC electric outlet only" and watts are given as 1500 watts. All the above are bought in USA could you please let me know what voltage converter do I need to use in India . Can you offer advice regarding taking a sewing machine from the US to India? Apparently the wattage can vary between 300 -750 watts,and some companies specifically disclaim responsibility with use of transformers. I have a Makita DC18RC Fast Charger and the 18V drill from USA . I tried to plug it into an outlet here in Bangalore using a travel converter (like this http://www.willgoo.com/universal-travel-usb-plug-adaptor-w-surge-protector-p-416.html) and it blew a fuse in the house. Is there a converter that will work here in India to charge my drill battery? I have already done the damage;( any option to get my ninja mixer working here in India. Good one and a berry nesessary one tooo! Brought a heavy duty hair trimmer for our pet from the US, and got a step down adaptor from the nearby electronic shop, it so happened that the wattage was low and the appliance made horrible noise and the adaptor actually broke!!!!!!! Since then haven't used the trimmer. But now after going through ur post ,, which I luckily chanced upon..I am having hopes !! I need help regarding my Home theater and Amplifier purchased from US. I purchased Harmon Kardon Home theater and Amplifier, but the main issue here is what kind of step down converter should I buy, so that I could get 110-120V with 60HZ output. What would it cost me and where will I get it. Is there any thing else I need to take care of, as I am thinking to connect it with spike for 2 output for both Home theater and Amplifier. incase if i have already blown up what are the chances I could get it fixed. I recently got pioneer AVR and as soon as I plugged in, it made buzz sound and off. then never turned on back. there was one light near the where the wire enters at back of the avr. So what you think happened? Any advise for Samsung 55” USA tv that only works on 60hz.. I did not find any vol transformer with o/p in 60hz. Hi can you any one please suggest me power converter for my television which I bought from USA. My TV specification is 120v - 240v ~ 50\60HZ 162W. Do I need to get power converter for this or just voltage stabilizer is enough for this as they species 120v to 240 v..? I have a product from USA with 120V/60Hz/450W specifications. Can I use the above product with the below converter in India? I have purchased a Hamilton Beach cloth iron in USA for me to use in INDIA. WILL the step down converter be sufficient? I have bought Revlon hair dryer which works only with 120V (Not for 240V). I tried to use it in India but it got sparks so I switched it off. can you please suggest a converter to use the product in india.